When does the hair come back? Hair loss due to chemotherapy is usually temporary. Usually, the hair begins to grow again within several weeks to months after the completion of the chemotherapy. After that, it takes around 2 months before the scalp is covered again. The hair can grow more slowly than before. Sometimes, some spots on the head will remain bald longer than others. When the hair on the head, the eyebrows, eyelashes or other body hair first begins to grow again differs by patient. The first hair is often downy ‘baby hair’. The growth of light (white or silvery) downy hair on the face (cheeks, upper lip, chin) can also temporarily occur. You can remove this by waxing. The regrowth of the hair goes much too slowly for most patients. If you prepare yourself for this, it might become a bit less difficult. Cutting the wig short ensures that the transition from the wig to your own hair is not as drastic. Patients have reported that when the hair starts growing the wig does not fit as well, is too warm and can start to itch. Secure the wig with pins or a comb in that case. Most patients gradually start to wear the wig and/or head covering less often. This can be difficult and create uncertainty. Ask others for advice in various situations (if you go to a meeting or a party, or what would your child prefer?). Let your hair show when you are ready. Patients were proud of their hair when it began to grow again and they no longer wore the wig. Patients who had always had long hair discovered because of the hair loss that they also look good with short hair. The growth of the hair and recovery are closely associated with each other for the outside world. Many patients have reported that this is when the processing of all their experiences begins. Often, the new hair is different than it used to be with respect to colour or texture. Changes in colour are the most common. Someone who initially had straight blonde hair can have darker hair later and/or have curly hair. Grey hair can also temporarily take on a colour again. There is little known about these changes in the hair. 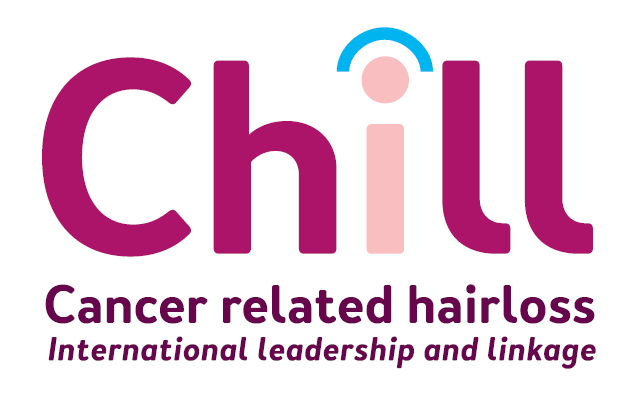 Most patients end up with the same hair they had before chemotherapy after some time has passed. Usually, that takes several months, but sometimes it can take years. Sometimes the hair does not grow back after the completion of the chemotherapy. This happens in particular with high-dosage chemotherapy after stem cell transplants. It is not known why this happens for some patients. There are various products on the market that promise to reduce hair loss due to chemotherapy, or to improve the effect of scalp cooling. These products (shampoos, lotions etc.) are often expensive, and the effect has not been proven with scientific research. There are also medications that promote hair growth, such as minoxidil, for example.